The Shakespeare Behind Bars programme, established in 2015 at Northland Region Corrections Facility, has been renamed Redemption Performing Arts to better reflect its purpose and focus. In 2015, American Shakespeare Behind Bars founder Curt Tofteland conducted a workshop at Northland Region Corrections Facility, where he explained the Circle of Reconciliation and Restoration process. 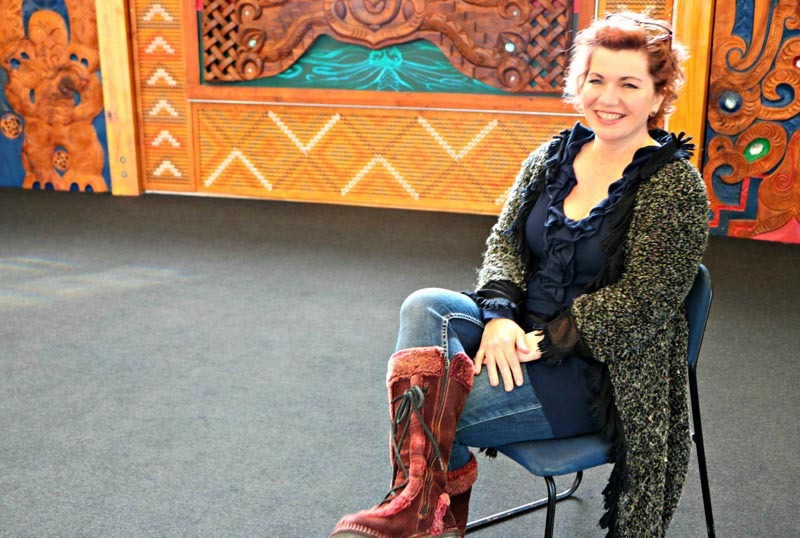 Beth Hill, the Facility’s programme leader for arts, self-directed learning and living skills, says Redemption Performing Arts is a vehicle for creating sustainable community, Corrections and whānau relationships. 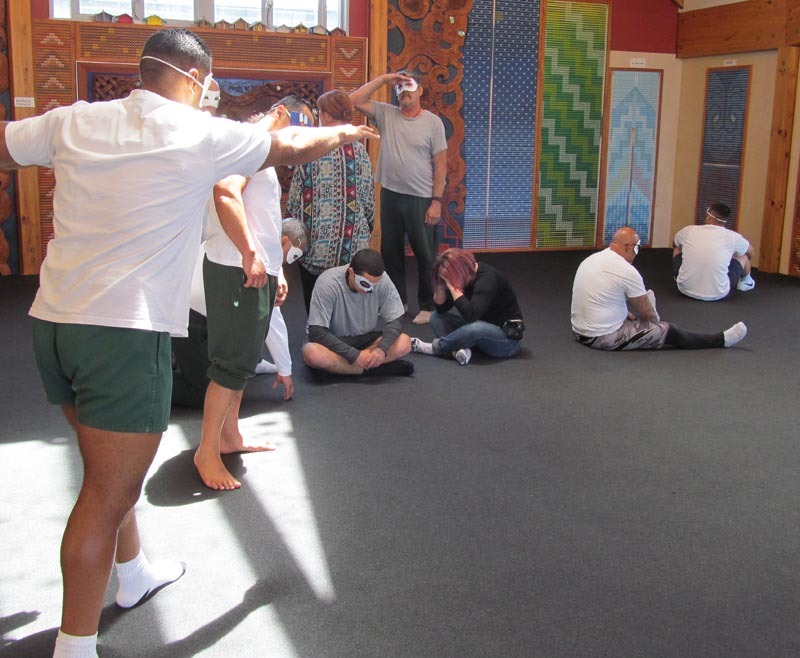 “The media and middle-class New Zealanders loved the concept of prisoners performing Shakespeare but in reality, it alienated the audiences we were trying to reach – Corrections staff and members of the community. Redemption Performing Arts retains the Circle of Reconciliation and Restoration. “The Circle’s kaupapa remains but like the programme, it evolves and adapts to meet current needs and challenges,” Beth says. Beth Hill: What are the key benefits you see for the men who participate in Redemption Performing Arts? 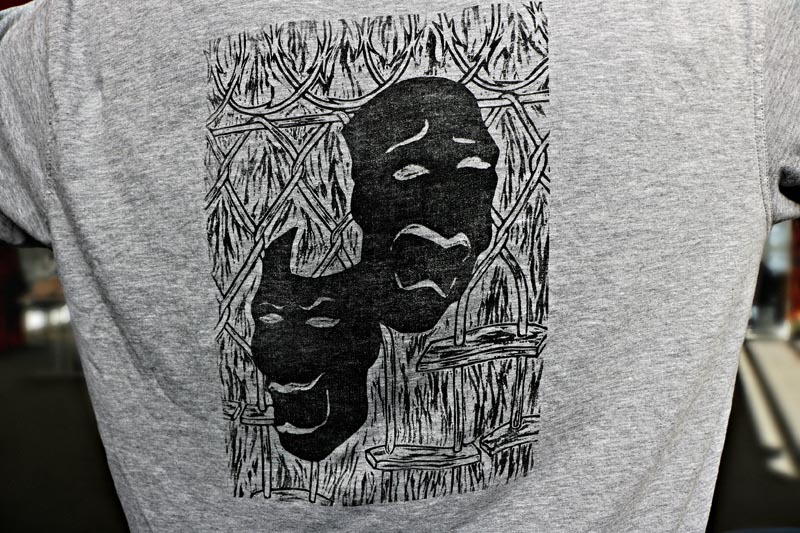 The men involved in the programme have a strong sense of whanaungatanga (family connection/working together/relationships through shared experiences), and are leaders and role models on the site. Our creative process and the core values of our group start in the Circle, a space created to nurture, play safely, challenge, forgive, share, celebrate and offer solutions. The men who participate are self-directed and disciplined. They meet deadlines, edit and resolve ideas with professionalism, and step out of their comfort zones week in, week out. Collaborating with Claire Braiden, the Corrections Officer who leads music on the site, has strengthened relationships between Corrections staff and prisoners. It gives staff the opportunity to see the men in a different light and I hope helps staff to find new, more creative ways of communicating with and understanding the men. We’ve been able to help men in the run-up to release through our established community partnerships. Recently, for example, Frazer (not his real name) was being released and hadn’t seen his whānau for several years. We communicated this to the Bald Angels Trust and it paid for Frazer’s sister to drive up from Hamilton and watch him perform. His sister said that she saw him in a whole new light and was looking forward to spending time with him. Matua (elder/leader) is leaving us shortly and has been part of the group for three years. We have been his connection to the outside world through Whānau and Community Reach Out events. He is our greatest advocate and supporter. Matua has provided us graciously and consistently with a strong tikanga focus and integrity that we all try and model. He will be sorely missed by us all. Matua: Has Redemption Performing Arts been an important part of preparing you for your reintegration back into the community? If so, why? Redemption Performing Arts helps inmates in so many ways and it’s been structured to help us reintegrate back into society. We always begin with a Circle, where we embrace and greet each other in traditional Māori protocol. Karakia is done and then the Circle enters into a state of wellbeing where values such as honesty, trust and compassion to name a few are used to find answers to help us. We are able to share our deepest feelings, finding solutions to help and encourage each other. It’s a time and place where we can speak freely about anything and express ourselves without fear of being ridiculed. Here we learn to trust and believe again, knowing that what is said in the Circle remains in the Circle. The outcome is one solid family. This simple but effective process is crucial to our journey to reintegration. It sets the foundation that allows us to become human beings again. In this programme, I have gained a much better and broader understanding of my skills and abilities to cope with things that life may throw at me. It’s opened a whole new world about my expectations of life. Regarding my reintegration and outcomes, it all flows from this one programme. Why? Because there’s a huge wish by everyone involved in the programme for each of us to gain our utmost potential. In conclusion, I have learned to be a team player, to share my views and to inspire others to find their own freedom within. Without this programme, I would still be incarcerated – not only within the walls of this jail but with the bars that were planted in my mind. I am free, I am becoming. Thank you, Redemption Performing Arts. Original generation time 1.9332 seconds. Cache Loaded in: 0.0605 seconds.